At Denmark’s most northern point, where Skagerrak meets Kattegat, and where artists as well as bathers trough centuries have gathered to enjoy the exceptional light, lies the town of Skagen. And in the centre of Skagen stands Hotel Plesner. unprecedented decadent and liberated life style in town, and to this very day, we make it a point of honour to carry on his spirit. We have high ceilings here at the hotel, and at the same time we have given attention and dedication to every last detail of the hotel – in the light and cosy rooms, in the restaurant and in Plesner’s Garden, which is open to hotel guests only. With a location right in the town centre, you will find attractions such as the yachting harbour, Skagen’s Museum and Slagter Munch (a famous butchery) within a stone’s throw away. And at the same time there are only a few hundred metres to the beach and Denmark’s first lighthouse Vippefyret. 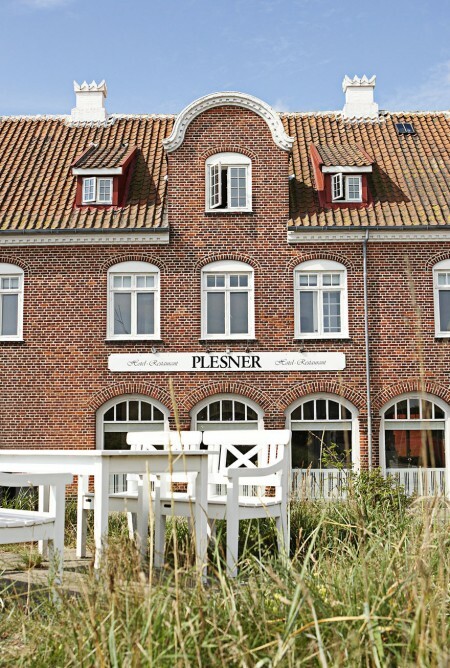 In other words Hotel Plesner invites you to stay during weekdays as well as weekends – summer and winter.